Paperback copy, which I will donate to the library as I don’t keep paperbacks that I rated fewer than 4 stars. Although this book has been on my physical TBR for two years, I don’t remember what prompted me to buy it. It was probably something I read when I was looking for TBR recs when I started the Book Riot challenge for We Need Diverse Books. I read it for The 16 Tasks of the Festive Season: Square 16 December 26th-31st: Book themes for Kwanzaa: Read a book written by an author of African descent or a book set in Africa, or whose cover is primarily red, green or black. 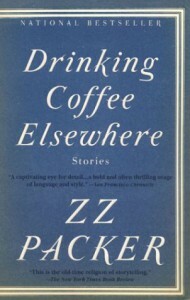 The author, ZZ Packer, is African-American.